In August, The International Wine of the Month Club’s Premier Series offers four delicious wines from four different countries. 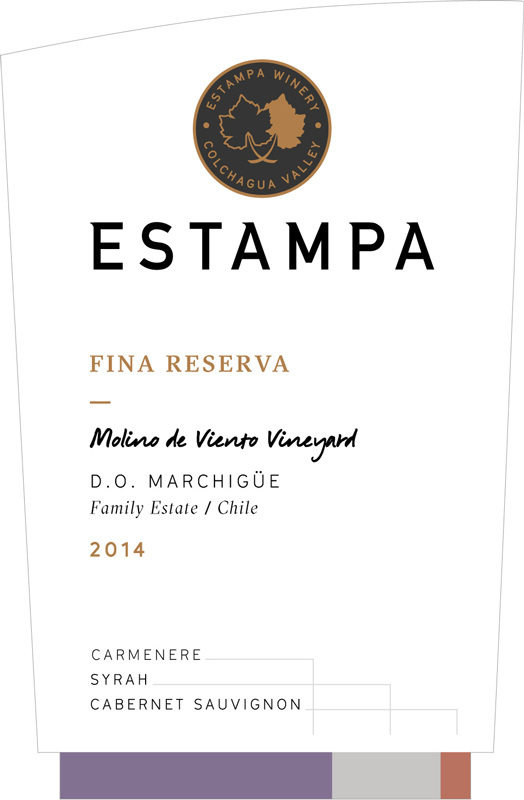 Estampa’s 2014 Fina Reserva Carmenère begins this month’s odyssey. 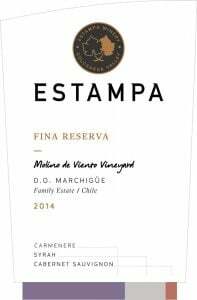 The 2014 Estampa Fina Reserva is actually a magical blend of Carmenère, Syrah and Cabernet Sauvignon that exhibits a wonderfully rich deep purple color, an amplifying aroma, and layers of flavors all wrapped in a fine patina of oak from the wine’s 10-14 month hiatus in barrel. Complex spicy notes in this wine meld with seductive black cherry and wild berry aromas along with touches of forest woodlands. In the mouth, each sip reveals layer upon layer of velvety fruit, hints of cacao and tobacco, and seductive suggestions of exotic spices before suave, well-integrated tannins provide a long, graceful finish. 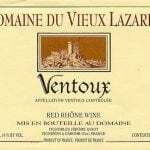 The overwhelming impression in this wine is one of balance and harmony, similar to what one hopes to find in red Bordeaux costing three or four times the price. Not surprisingly, Wine Spectator awarded the 2014 Estampa Fina Reserva Carmenère 90 Points and ranked it among its top South American wines. Our next feature, the delicious 2016 Le Provençal Côtes de Provence Rosé captures the warmth of the sun-drenched Provençal countryside along with the region’s rarified air and illuminated landscapes, all of which shimmer beside the sparkling Mediterranean Sea. Le Provençal is bottled in the traditional “flute à corset,” the distinctive bottle of the Provence region, that recalls charming flower-bedecked villages, colorful outdoor cafés, and fun in the sun. Delicate in color, much like the lightest of pink roses, the 2016 Le Provençal Rosé enchants the eye as well as the nose and palate. Delicate scents of cherry blossoms and woodland strawberries haunt the nose and seep surreptitiously into the wine’s spritely flavor profile. This is a dry, scented, savory rosé whose delicacy and evanescence render it unabashedly attractive. Relax and enjoy! Next in line this month is the stylish, bold-flavored 2013 Pietra Santa Cienega Valley Estate Sangiovese, one of the last vintages of Sangiovese made entirely by Alessio Carli, the illustrious long-time winemaker at Pietra Santa. And like its predecessors the 2013 Pietra Santa Sangiovese possesses Carli’s magic touch and Sangiovese’s rich racy flavors and finely honed structure. Bing cherry, cranberry, spice and touches of wood smoke permeate the nose of this wine and flow harmoniously into the mouth where they expand with a burst of flavor. Medium-bodied, but bold-flavored, this textured, flavorful Sangiovese marries the beautiful pure fruit flavors of California to the complexity of the finest Sangiovese wines of Tuscany. 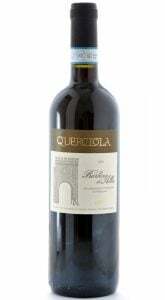 Born of Pietra Santa’s “sacred stones,” from the vineyard’s location on the San Andreas Fault, a gentle minerality and noble structure reminiscent of Tuscany’s Vino Nobile di Montepulciano set this wine apart. Rounding out this month’s Premier Series is the 2015 Gini Soave Classico. Gini enjoys an enviable reputation among consumers and critics alike for consistently turning out the most hedonistic of all Soaves and by most accounts the very finest of all Soaves. The 2015 Gini Soave Classico deserves a special place of its own, as it ranks as the finest Gini we have tasted in the two decades we have been sampling wines from this superbly run estate. It has been awarded numerous 90+ point ratings, including 92 points from James Suckling. The 2015 Gini Soave sports a golden robe born of the sun’s radiance. Yet, it is this Gini’s enticing aroma, resplendent with the scents of acacia flower, cherry blossoms, quince and yellow plum, that is utterly seductive. On the palate, the 2015 Gini also works its magic. 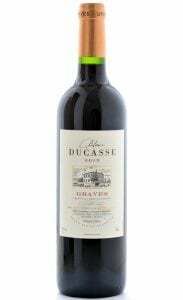 Soft, velvety fruit flavors mingle with floral, mineral and spice tones to make for a memorable gustatory interlude. And as an encore, the wine’s gentle minerality and superb acid balance combine to offer a positively glowing aftertaste, which lingers harmoniously long after the wine has slipped surreptitiously down the throat. The International Wine of the Month Club’s Collectors Series is proud to offer three exceptional wines in August. This month an International Wine of the Month exclusive, 2012 Intuición Solo Una Vez, from Mendoza, Argentina leads the way. This is a once in a lifetime endeavor from wine importers Nick Ramkowsky and Ed Lehrman, hence, the name “Solo Una Vez,” meaning Only Once. Solo Una Vez is an idea that came from dreaming about ‘what could be’ instead of ‘what has to be.’ Ed and Nick made this wine based on quality alone, not worrying about the usual economic burdens faced in the market. And what a wine they made! Deep, big, and brooding upon first opening, the 2012 Solo Una Vez emanates from two high mountain vineyard sites comprised of 57% Cabernet Franc and 43% Petit Verdot. From first impression to final curtain call, intensity best describes Solo Una Vez. Its deep purple, nearly black opaque color underscores the depths that await the stouthearted imbiber. Yet, Solo Una Vez’s delicious mélange of Cabernet Franc and Petit Verdot immediately conjures an array of bold, beautiful aromas that ooze ripe berries, plums, spice, and a whole lot more. In the mouth, one also encounters a suavity, which complements the wine’s intensity. 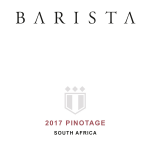 A delightful array of berry, chocolate, roasted coffee and the finest, smoothest patina of oak ingratiates the mouth, beseeching the taster to discover yet another rich, complex flavor in every sip. 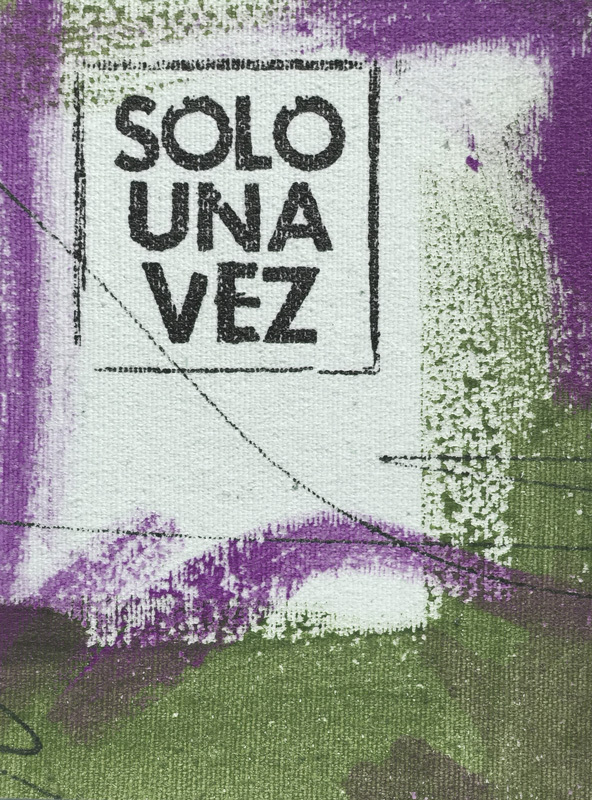 Although bold and truly beautiful now, Solo Una Vez is a wine still in the throes of youth, and given the wine’s intense fruit and rich ripe tannins, it should improve for up to a decade or more. Enjoy! Next up is the 2016 Mendel Semillon, also from Argentina. Bright lemon yellow and hinting of the morning sun, the hedonistic, complex 2016 Mendel Mendoza Semillon has earned many 90+ point ratings, including 92 points from Wine Advocate. Mendel’s 2016 Mendoza Semillon delivers a beguiling color, spicy hedonistic aromas and rich luscious fruit. Savory layered scents reminiscent of golden apples, beeswax, mirabelles, yellow peaches and dried honey captivate the nose. Equally rich and broad in the mouth, this young Semillon’s fleshy fruit, nicely integrated spice tones and citrus twist leave the mouth wondering if the three ring circus of flavors this wine has to offer is truly for real. Classically wrought, superbly crafted, and springing from vines averaging 73 years of age from the Paraje Altmira Vineyard in Uco Valley, the 2016 Mendel Semillon embodies the best the revered Semillon grape variety has to offer. Completing this month’s Collectors Series is the 2014 Samsara Santa Barbara County Syrah, a highly aromatic, superbly balanced and downright enticing wine in all respects. Ethereal aromas of blackberry, boysenberry, mulberry, and wild herbs with deft touches of cola, exotic spices and vanilla entrance the nose. In the mouth, spicy dark berry flavors mingle with seductive floral notes that are superbly carried in a seamless sea of smooth tannins, which thoroughly charm the palate. Medium-bodied yet full-flavored, the 2014 Samsara Santa Barbara Syrah displays plenty of concentration that is nicely balanced by the wine’s harmonious tannins and long, lingering finish. The quest for perfection is more than evident in this wine. No wonder Samsara receives so many 90+ point ratings for their wines, including 92 points for the 2014 Santa Barbara Syrah from both Antonio Galloni and Wine Advocate.